It looks like yet another Boston dive bar is going to be disappearing--and it may be replaced by a mixed-use development. According to an article in the Dorchester Reporter, Tom English's on Dorchester Avenue is being sold, with the buyer possibly looking at new construction at the site; condos or apartments are being considered along with a restaurant or gastropub being an option within the development as well, though no specific plans have been submitted as of yet. The sale is expected to be finalized this summer, and a licensing board hearing is slated for June 28. 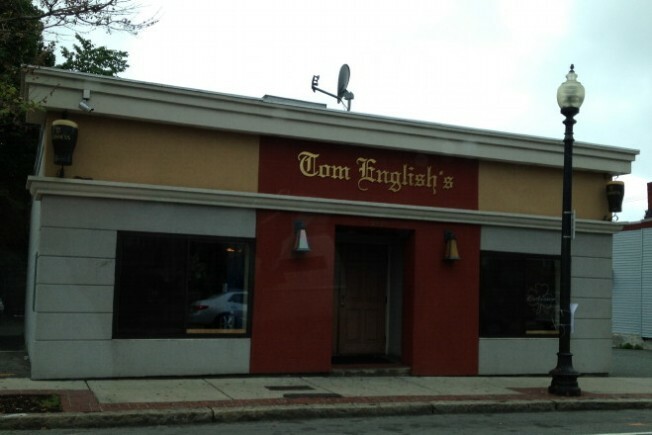 The address for Tom English's is 957 Dorchester Avenue, Dorchester, MA, 02125. Thanks to one of our sources for bringing this to our attention.